This is a thoughtful book which will appeal to horse lovers and, I think, non-horse lovers alike. It is about warmth and love in a family, a move from a different place and coming to terms with changes and sadness. Bryony has moved to the coast with her Mum and brother to be nearer her Grandad after her Dad has died. She is exploring her surroundings one day when she comes upon a frightened pony. Calming the pony down she makes an instant bond with the horse only to discover that the horse has an owner (Georgina) who, it transpires, doesn’t like the pony at all. 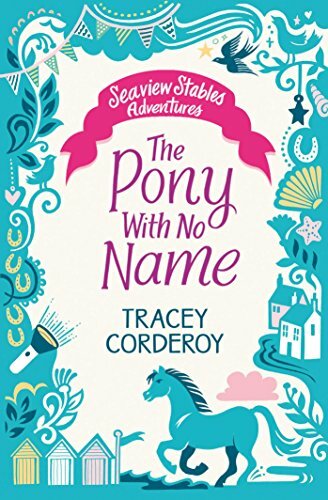 The story moves on as Bryony tries to re connect with the pony and also with the girl she saw with the pony who is not the owner. The story then develops with good pace and storyline incorporating lots of themes about family, friendship and kindness. The connection between Bryony and her ‘pony with no name’ is written in a very touching way and would appeal not just to somebody who rides but also with animal lovers everywhere. There are more layers to the story than just the girls’ friendship. The story also touches upon bereavement and bullying but in a subtle way. It isn’t forced but just fits in with the whole story itself. It’s a good read - you’ll probably want to read it in one go like I did to find out what happens.